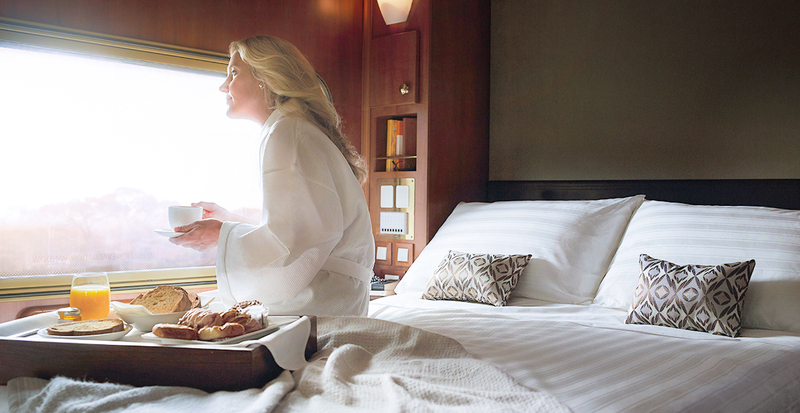 Step into 1930s-style opulence on the iconic Ghan, the all-inclusive, luxurious Great Southern Rail train traversing the entire length of Australia’s Northern Territory. Departing from Alice Springs, the all-inclusive expedition whisks you from the dusty, brick-colored terrain of the Outback to the balmy tropical coastline, pausing for extraordinary excursions along the sparkling Katherine River and ending in Darwin. 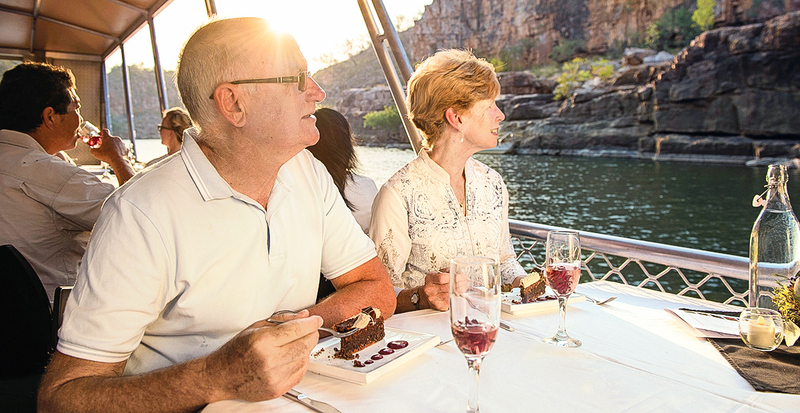 From securing your luxurious cabin to reserving the thrilling Outback Floatplanes experience in Darwin found in our Ultimate Experiences magazine article, we’ll handle every detail to make your journey exceptional. The superb Platinum Service amenities of in-cabin breakfast, Platinum Club access and spacious double beds provide the ultimate relaxation, perfectly complementing the gorgeous mosaic of reds, oranges and blues outside your window. 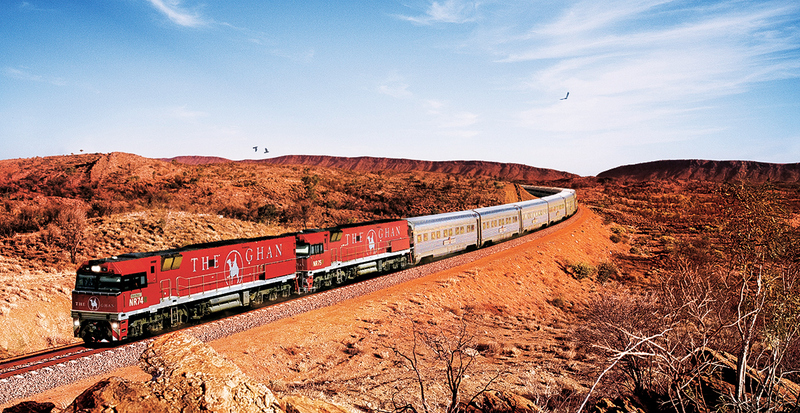 Regarded as one of the greatest railway journeys in the world, the unmistakable brick-red Ghan train speeds through the rust-colored sands of the Outback, granting access to once-inaccessible lands. A journey through this vast terrain is entirely effortless on your part — unpack only once and relax with newfound friends as your train transports you into the heart of this remote destination where a world of adventures awaits. Platinum Service cabins are the epitome of luxury, equipped with full-size, en-suite powder rooms, in-cabin music and refreshments. By day, unwind on deluxe seating and gaze out of dual-side windows as the landscape transforms. At night, the private lounge converts to a bedroom, inviting you to sink into the soft linens of a roomy double bed or twin beds. 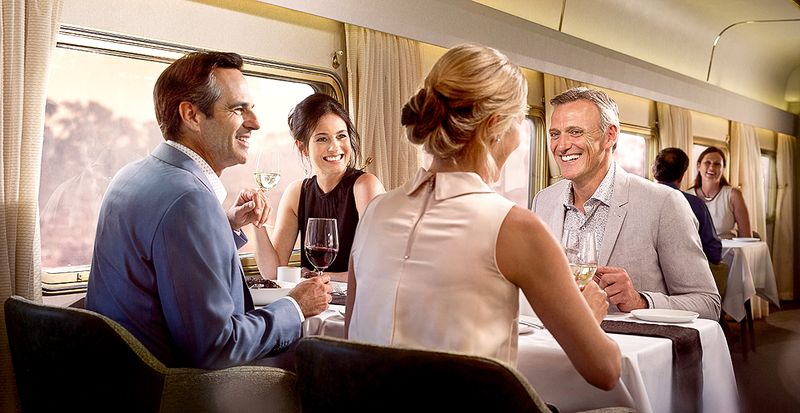 Experience Australia's diverse culinary scene on board The Ghan at both Queen Adelaide Restaurant and the Platinum Club. Specially curated two- and three-course menus showcase signature regional dishes made from locally sourced ingredients, including flaky barramundi fish, tender Coorong Angus beef, Creek Dorper lamb and Woodside Cheese Wrights artisanal cheeses, accompanied by Australia’s world-renowned wines. Embrace uniquely Aussie adventures as The Ghan transports you to once-in-a-lifetime excursions in the heart of Australia. 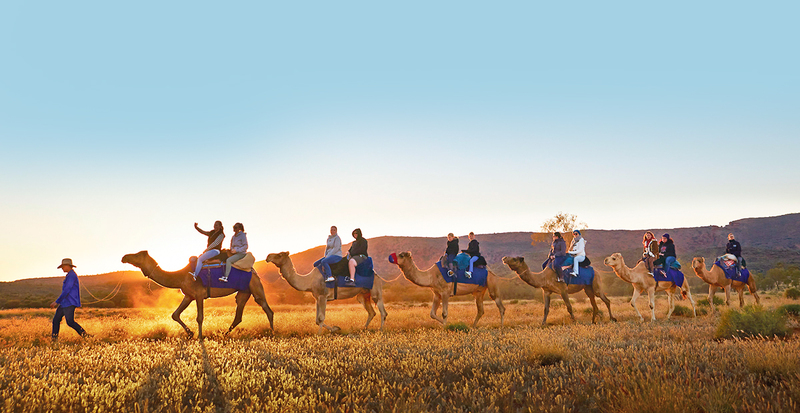 You’ll encounter the magic of Alice Springs on a camel trekking bushland safari, complete with up-close sightings of kangaroos, wallabies and native birds. A thrilling helicopter flight provides sweeping views of the majestic, red- and orange-speckled West MacDonnell Ranges, rushing Todd River and the tranquil Simpson's Gap watering hole. Pass the jagged rock formations and cascading waterfalls of Nitmiluk Gorge’s expansive, ancient sandstone walls on a scenic cruise of the Katherine River. Or, take in sweeping views of vast rock faces and smooth turquoise water on a guided charter flight and pair the unforgettable experience with a glass of sparkling wine. You’ll become further immersed in Australia's Northern Territory during the Katherine Outback Experience. 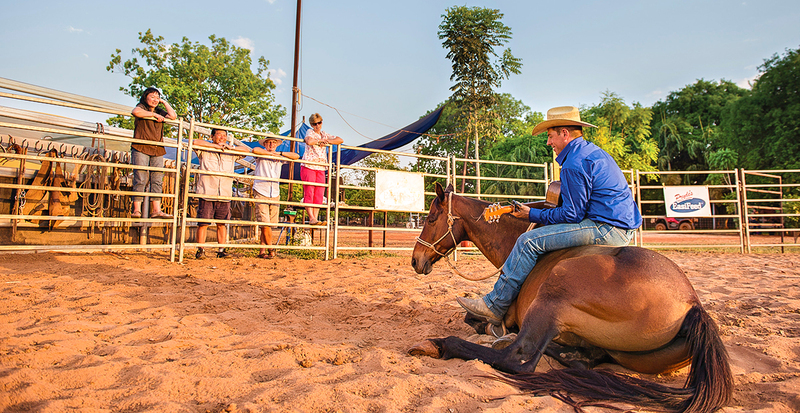 Enjoy the adventure and action of a cattle station stockyard as you watch a lively show of wild horse training. Plus, horse and dog trainer Tom Curtain performs playful songs while riding his trick horse and tells stories that highlight authentic station life. 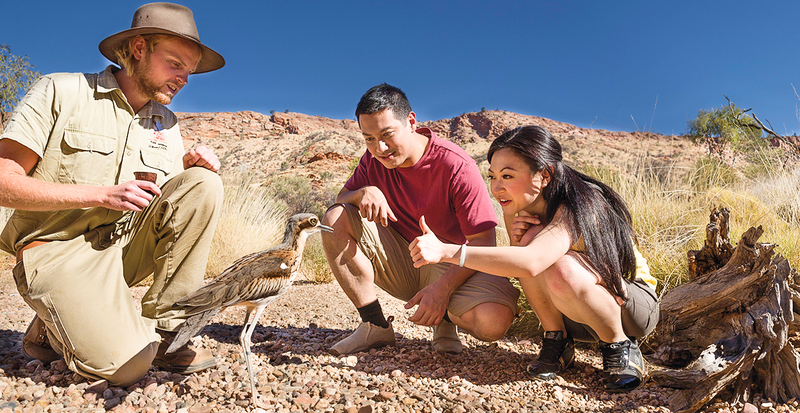 Learn the secrets of rare animals including finches and wallabies and desert fauna like spinifex grass and desert bloodwood trees on a guided walking tour through Alice Springs Desert Park. Don’t miss the impressive free-flying birds of prey as they demonstrate their skills in the Nature Theatre twice daily. Extend your stay in Darwin; let us arrange a three-day trip to the beautiful Tiwi Islands. 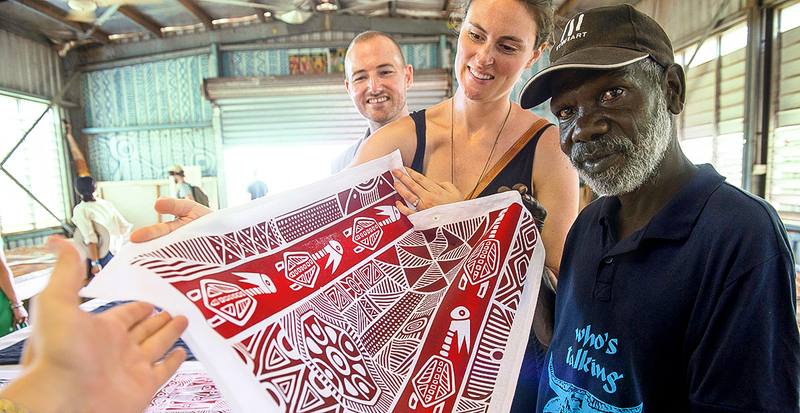 Nicknamed “The Islands of Smiles,” the unique and remote cluster of islands boasts a welcoming Aboriginal population ready to share their culture, art and lush wildlife with visiting travelers. Want to learn more about Australia’s Northern Territory? We’ll send you an edition of our Ultimate Experiences magazine, which features extraordinary adventures in the tropical Top End coast of Australia’s Northern Territory. Call us today to reserve your luxurious yet adventure-filled journey — from Northern Territory's balmy coast deep into the heart of the Outback.